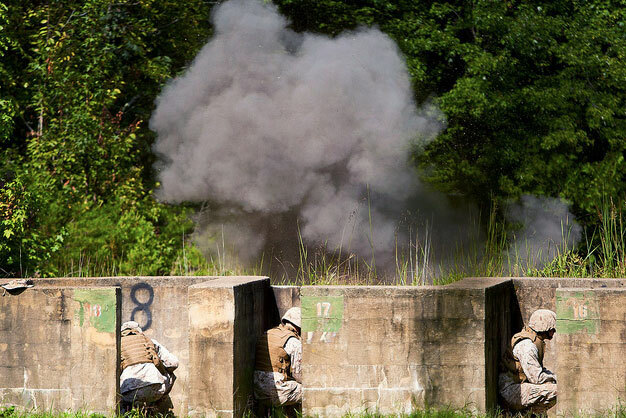 Company B Marines with Marine Barracks Washington, take cover after a live grenade explosion during a live grenade range training exercise at Marine Corps Base Quantico, Va., Aug. 21. U.S. Marine Corps photo by Cpl. Dengrier Baez.